PLEASE READ POLICIES CAREFULLY BEFORE PURCHASING ANY OF OUR LISTINGS! NOTHING. ThePartyKitShop offers non-editable digital products ONLY. We do not ship printed materials. All listings available are submitted to your email address after your purchase. Please check your BULK folder if you don’t see your order in your inbox in 3-5 business days. Or contact us immediately so we can resend your files if still available in our sent box. Custom Orders purchased via Direct Check out – 5 business days or sooner. Rush orders welcome. Fee applied. Please provide wording requested under each listing. We do NOT provide samples. Listings are sold ‘as is’. If you need any changes, please email us. For invitations, you will receive a DIGITAL proof for you to review. Please check your design carefully for spelling, punctuation or missing information. ThePartyKitShop is not responsible for any errors noticed after the final approval is given. Custom orders are very welcome. Just contact us if you need something specific for your event and we will be happy to assist you! Due to the nature of the products and the design work involved, no refunds will be issued once the files have been sent. Please note that your order will not be emailed until payment is made and has cleared through our ETSY shop. and I do my very best to have a proof to you within 3 business days. If you haven’t received a proof within 3 business days, please send me a message or email to make sure your order wasn’t lost! For CUSTOMS ORDERS allow from 7 to 10 business days to receive your file. 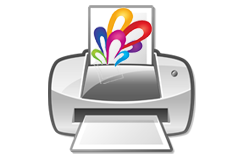 You will get a digital non-editable PDF file or JPEG. All computer monitors are different,so your printed stationery may not match what you see on your monitor. If you are unhappy with the quality of your DIGITAL product, please contact me before leaving feedback. I will be happy to work with you to reach a satisfactory resolution. All of our files are non-editable and for personal use ONLY. NOTE: Our samples are printed by laser jet printers. Keep in mind color vary depending on the printer, paper. Your computer screen might affect the actual color as well. Due to the nature of our products. No refunds are available. We provide a store credit you can use any time toward digital printables. JUST PRINT, CUT & HAVE FUN!